I just realised I basically duplicated a post so apologies for that. 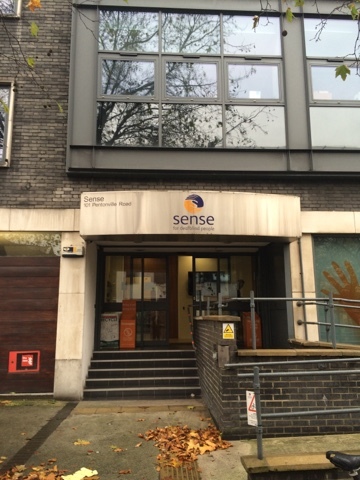 Today I met the Sense events team and over 40 of my fellow marathon runners. It was inspirational to sit in the room with them all, talking to some and hearing from others there were a lot of first timers there, all from different walks of life and backgrounds. I learned that I'm fortunate to have already built a good, varied training plan and I had considered everything that needs to be covered. The big thing I need to really concentrate on is nutrition as my diet isn't exactly the typical athlete's baseline. Time to routinely use MyFitnessPal and understand how to fuel my body during my long runs. I also learned new exercises to help pre & post running so that's great. I'm looking forward to Sense setting up the #TeamSense Strava and Facebook pages to help us encourage each other and see how everyone is progressing. There's another training day in February and I hope that people are excelling with their running and their fundraising.